Victoria Sommers is the owner, founder, manager and lead instructor of Momentum. She was born and raised in Buenos Aires, Argentina. At age 19, after months of knee pain, she went to the doctor who said surgery would help. He also requested she stop running and playing tennis, and instead try light pedaling on a stationary bike. Victoria tried her first indoor cycling class and immediately loved it. After about 7 months of taking cycling classes, her knee was pain-free and she never needed surgery. A Schwinn Certified Cycling Coach, Victoria teaches specialized cycling classes involving all elements of a professional training: ride-climbs, attacks, pulls and time trial work. Nicole Kruse is a super-active mother who is the oldest of 3 girls and now has 4 girls of her own. Nicole grew up in Orange County, Southern California. Always an athlete, she played volleyball in college and always enjoyed mountain biking. Her cycling style is all about keeping high cadence. Breanne Colella grew up in San Diego, CA where she competed on a high school women's rowing club leading her Northern California for Division 1 Crew. During her four collegiate years, she spent a summer at the Olympic Training Center coaching crews during the Olympic Trials. Over the past 15 years, Bre has maintained her focus on fitness and health, most currently with Momentum Cycling Studio as a main hub for her fitness goals while raising three active sons. Denise Henry has been a competitive athlete for over 30 years and has over 20 years of teaching experience. She is a group exercise instructor and a small group training coach for spinning, athletic conditioning, running, core strength and flexibility/mobility. Denise holds certifications with the American College of Sports Medicine (ACSM), Johnny G. Certified Indoor Cycling. Stages Indoor Cycling and TRX Suspension Training. In addition to exercise and sport, Denise has taken courses on nutrition related to sports, optimal wellness, fitness performance, hydration and weight loss management. Denise loves to run, swim with Stanford Masters, practice yoga, cook, travel and socialize with friends and family! Camille has experience in the health and wellness industry since 1989 ranging from Facility General Manager, Group Exercise Director, Instructor, Personal Trainer and Clinical Researcher. She has participated in fitness videos, won fitness competitions and attends fitness conferences regularly to stay abreast on the latest trends in exercise modalities and philosophy. Camille has a Masters degree in Exercise Physiology from CSU Chico, worked part time faculty in the Department of Kinesiology and Athletics at Foothill College and was a Clinical Researcher at Stanford University in the Department of Endocrinology where she coauthored studies on bone mineral density and exercise and aging. Maria Amren is passionate about an active lifestyle and loves to challenge herself. She found the love for spinning as she was training for her first triathlon 10+ years ago. She has since completed multiple triathlons, 1/2 ironman, the Death Ride, as well as 1/2 marathons. She found the love for teaching and motivating others in 2008 when she joined and taught Baby Boot Camp classes at Stanford with her first of four daughters. Maria began her certification courses in 1999 and has since then completed the AFAA group instructor certificate in 2011 among other courses to stay current in the field. She resides in Los Altos with her husband and 4 daughters. She enjoys the active lifestyle of managing a household of 4 daughters while running her own management consulting firm. Stephanie Bruno discovered her passion for endurance sports in her late twenties and hasn't stopped since then. She has completed several triathlons including Ironman Canada, numerous centuries rides and the Death Ride. She is a certified instructor both in cycling and The Dailey Method. She and her husband Mike split their time between their homes in Los Altos Hills and Lake Tahoe, and when not on the bike, you can find them pursuing adventures like snow skiing, water skiing or scuba diving. 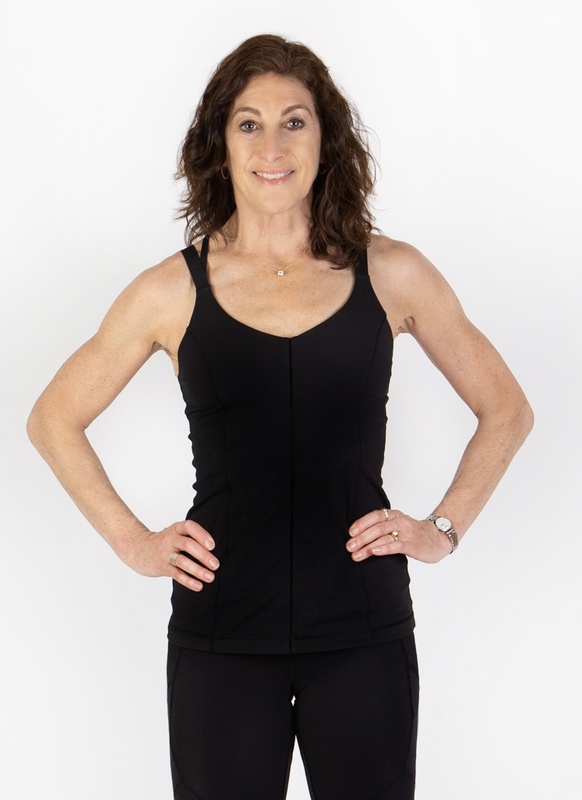 Kathi Kaplan has been teaching group fitness classes for over 30 years. Everything from high/low-impact, step, body sculpting and cycling. It was on a cycling trip to New Zealand that she discovered her love for road biking. Kathi is a cardio fanatic who loves teaching and motivating her students. She teaches early morning classes and then works in high tech as a marketing executive. She has had the pleasure of working at some of the valley’s greatest companies like NeXt, Apple, Business Objects, Box and more. On the weekends you are guaranteed to find Kathi on the road riding her bike or spending time with her family. Olga Uchitel is a Canadian transplant to the Bay Area who first found her cycling legs while doing centuries in Austin, Texas. Her love of an active lifestyle and go-getter attitude is what fuels her role as an instructor and her day to day life. Olga isn't likely to shy away from a physical challenge and encourages her classes to achieve their personal best every time. Her athletic background, track in high school and rowing in college, has molded Olga's disciplined approach to training. You can do anything you set your mind to -- don't be afraid to challenge yourself and the changes will come naturally. Most of all, get out there, have fun, feel life!